Dubai: Are Dubai’s developers taking their focus away from heights? But there are more of the seriously tall (over 200 metres) and the super tall (more than 300 metres vertical) towers the city is shaping up for. There will be the tallest all-residential tower in the form of Dubai One, at the Meydan One development in MBR (Mohammad Bin Rashid) City. It will be soar quite a bit, at more than 700 metres. There’s Azizi with the Entisar project on Shaikh Zayed Road, at 570 metres up. The developer behind JLT is also stretching the possibilities, in the form of Uptown Dubai, a prime 10 million square foot cluster and featuring multiple “super-tall” structures. Dubai currently has 21 entries among the 100 tallest completed buildings. The Canal extension had revived developers’ push back into going vertical. Because there were limited number of plots available by the water, it did make sense for them to try and reach for the skies. And some of these future developments could just breach the super-tall status. 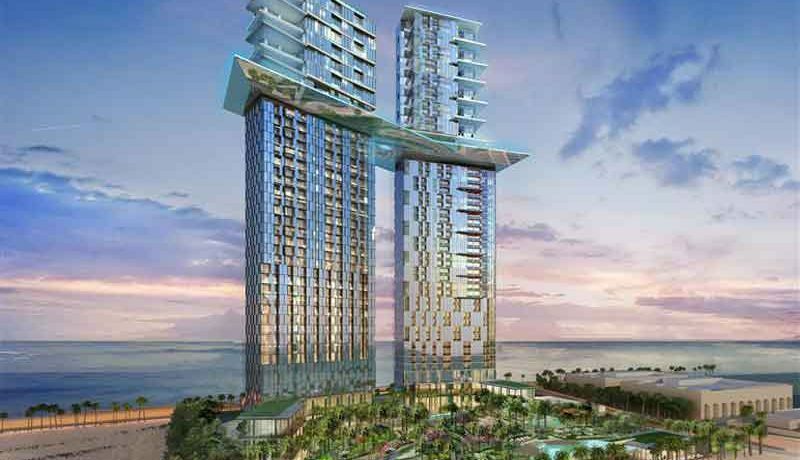 And there will be quite a few weighing in at the 200 metre plus mark, most notably Nakheel’s Palm360, at 260 metres high. It will feature Dubai’s second Raffles Hotel and occupies a key spot on the Palm waterfront. 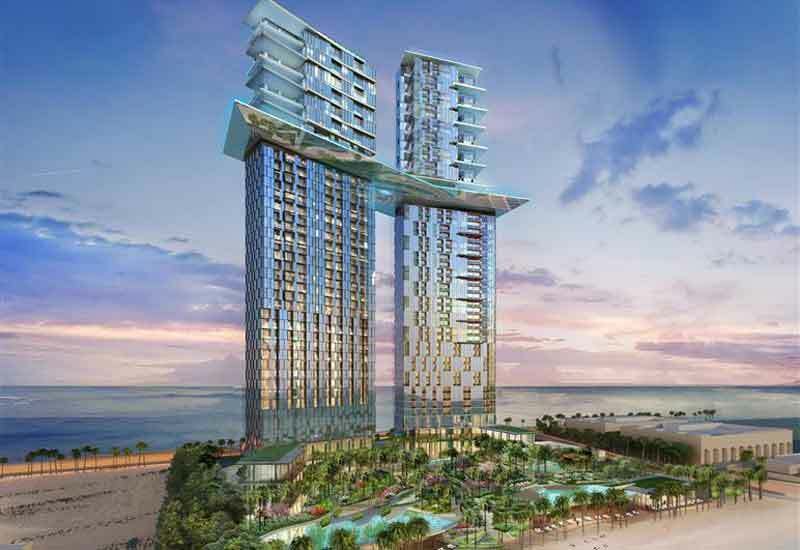 Another Nakheel high-rise, the Palm Tower (at 220 metres) is due for completion next year. Clearly, Dubai has not seen enough of the tall ones. “There are 22 ready super-talls — as defined by heights more than 300 metres — and a further 10-15 under construction,” said Sameer Lakhani, managing director, Global Capital Partners. “There will always be zoning for high-rises. But are costs getting prohibitive to build super-tall? Is it the case that only master-developers and a handful of private developers have the deep pockets and the patience to go for these? Consider the land costs in Dubai. In Downtown, land is approximately 50-55 per cent of the overall cost of the project, but dependent on the scale of the project. For the locations around Dubai Canal, it would be about 40 per cent, according to GCP-Reidin, the consultancy. So, does the location and plot size determine whether a developer should opt for a high-rise or something else? “Land that is zoned for high rise development is sold on basis of the built-up area of the tower that is permissible on the land and not the actual size or surface area of the land,” said Sean McCauley, CEO of Devmark, a recently launched real estate consultancy. McCauley says that the “vast” majority of development plots available in Dubai are zoned for high-rises, and “this has dictated the trend to some extent”. In other words, whatever be the nature of the real estate market’s cycle, there will be developers wanting to go vertical. It is as true of Dubai as it is of any other city where there is already a surfeit of such structures. “Be it London, New York, Dubai or Singapore, these cities are increasingly cosmopolitan with a large population of wealthy business leaders and entrepreneurs — high net worth individuals (HNIs) used to moving around the world with relative ease and flexibility,” said Alex Carr, residential development partner at Knight Frank in London. “As a result, they are used to staying in centrally located tall buildings of 40 storeys plus — be it hotels, short-term rentals or as a primary residence. Tall residences have never been more relevant, with HNIs demanding lock-up and leave properties with concierge and hotel style amenities. The Council on Tall Buildings and Urban Habitat — an industry grouping which tracks trends in the skyscraper space — is holding a conference in Dubai from October 20.